Early Spring: Regardless of where they live, bass anglers get the “itch” early in the spring. But this is a tough time – a period of hit or miss angling. Some days you’re going to get lucky, but the majority are going to be tough. Don’t be too disappointed if you don’t catch fish. (1) Water Conditions – The water temperature at this time will range from 45 to 54 degrees F., depending on locality. Water clarity in lakes and reservoirs will normally run from clear to extremely clear because spring rains and runoff have nor begun yet, although snowmelt can be a factor in northern areas. (2) Bass Locations – Bass will be found where even a slight warming of the water occurs. Key spots include the south-facing banks of coves, creeks and the tributaries of most reservoirs and lakes. Upper ends of reservoir tributaries warm first, as do turbid water areas and places with standing timber, rocky shoals, scattered boulders, even boathouses or marina docks. Bass will, however,, still be keyed to winter holding spots and can be concentrated. Look for deep water winter holding spots with potential spawning areas nearby. Early spring bass will often be located along a migration route between these two areas. When the day warms up, they move shallow; when the temperature drops back down, they move back to the deeper water. Many pros start looking for bass on the first major drop-offs between shallow and deep water. Good spots are bluffs, creek channels, channel bends and flats just off creek channels. (3) Water Depth – Look for bass anywhere from 8 to 30 feet deep. (4) Lure Choices – The absolute best lure at this time is a jig with some sort of pork, plastic or leather trailer. Select a 1/4 to 3/8 oz. jig in black or brown, perhaps with streaks of red, blue, chartreuse, etc. The No. 11 Uncle Josh Pork Frog is the top choice in trailers. Plastic crawdads, too, are also good trailers at this time of year. Weighted spinnerbaits or crankbaits retrieved slowly can also be good. These are weighted by simply sliding a worm sinker over the line before tying on the lure. Or you can simply crimp on split shot, but you’ll have more problems with hang-ups. Tiny 1/8 and 1/4 oz. jigs such as the Blakemore Road Runner, which has a spinner added, can be deadly. Fish these just off the edges of creek channel drops. (5) Tactics – Early spring bass are just starting to come out of their winter pattern. Their metabolism is extremely slow, so they’re usually slow to move and won’t chase a lure far or make fast strikes at it. The best days to fish are those after a couple of days of warming weather. Fish through the middle of the day when the sun and heat are the highest. Pre-Spawn: (1) Water Conditions – Normally the water will run slightly warmer than early spring, although there may be occasional fronts that will drop the temperature. Look for water temperature between 55 to 65 degrees F. Clarity can change rapidly and can range from extremely clear to turbid due to incoming spring rains. (2) Bass Locations – As water temperatures continue to rise, bass begin an ongoing migration from their deeper water winter holding spots to spawning areas in the shallow bays and coves and on sloping rubble or gravel banks. At this time you can hang the biggest fish of your lifetime. Bass go on a feeding binge in preparation for spawning, and females are heavy with eggs. The fish are more scattered now than any other time of the year and are continually roaming. This is also the time when anybody can catch a bass and, appropriately, the time when most bass anglers hit the water. Key locations will still be the migration routes between deeper waters and spawning areas, although bass will be continually moving shallower. In reservoirs, search out the shallow flats close to major creek channels. In natural lakes, shallow bays and coves are the best choices. Best action occurs when the water temperature stabilizes above 55 degrees F., which usually occurs once both the nights and days start becoming warm. When bass move onto the spawning areas just prior to the actual spawn, the action is the best of the year. Not all bass in a lake spawn at the same time, so if you wish to extend the productive prespawn season, merely follow the rising water temperature. For instance, you started in early spring on the north side of the lake in the coves against the south facing shore. When these areas warm to the point bass are spawning there, move to the lake’s southern shore facing the north. Some bass also live and spawn in the middle of lakes and reservoirs where cover is good, and these will be the last to spawn. It’s not uncommon to see bass spawning in flooded treetops and on underwater islands and humps and other structure such as old roadbeds, even into early summer. (3) Water Depth – Prespawn bass are located relatively shallow. Look for them in water from a foot or two down to eight feet depending on water clarity and amount of cover. (4) Lure Choices – Although the pig n jig can still be productive now, “locator” lures that are retrieved at a faster pace allow you to search for roaming bass. 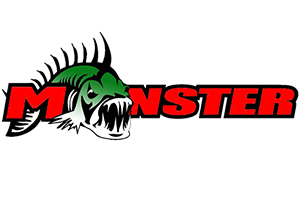 Thee include spinnerbaits, crankbaits, jerkbaits and at times topwaters and buzzbaits. (5) Tactics – Even these faster moving lures should be used fairly slowly at the start of this prespawn period; speed them up as the water continues to warm. It’s also a good idea to explore with these lures. If you get a strike but don’t hook the bass, switch to a slower lure such as a jig n pig or plastic worm, and rework the area. Or simply slow down your retrieve with the spinnerbait or crankbait. If you get several short strikes with a buzzbait, try using a stinger or back hook. Normally, the smaller males spend more time in the shallows than the bigger females do. If you continually catch small fish, back out to the next deeper water layer. Spawn: (1) Water Conditions – At this time the water will normally range from 65 to 75 degrees F., while clarity will run from turbid to clear, depending on lake location and amount of runoff. Good spawning locations can vary a great deal from lake to lake, depending on the structure available, but they have three general requirements. First is a fairly solid bottom such as gravel or rocks. Soft, mucky, weedy areas are rarely chosen. Second is depth, which will be fairly shallow so that plenty of sunlight can reach and incubate the eggs. Spawning area depths range from about a foot to 10 feet, depending on water clarity, structure, etc. Third, there should be little or no current that can wash the eggs away. Most spawn areas will be located fairly close to deep water such as a submerged channel. (2) Lure Choices – Although tube lures, plastic worms and topwater lures such as Zara Spooks are all productive during this season, the single most productive lure across the country is the plastic salamander. (3) Tactics – Many serious bass anglers do not fish for spawning bass, but follow the prespawn cycle mentioned earlier. Their reasons are two: First, spawning bass seldom feed, and although you can sometimes trick them into striking, it’s best to look for bass that are still in prespawn period. The second reason involves conservation. Although fishing for spawning bass is legal in many states, removing nesting bass can have negative effects on a heavily pressured lake. If you’re set on catching nesting bass, plastic worms and salamanders, tossed time again into or over a nest, may provoke a nesting bass to hit. Biologists say such strikes are generated more by protective instinct than a need for food. Make sure you release any bass caught during this period. Post Spawn: (1) Water Conditions – Temperatures will range from 75 degrees on up. Water will quite often be clear to extremely clear, although occasionally runoff may produce some murkiness and windy weather can create turbid conditions on shallow lakes. (2) Bass Location – As soon as the spawn is over, a majority of the bass, particularly the males, retreat to the nearest deep water to recuperate. Look at the migration routes between spawning areas and deep water, starting shallow and working your way outward until you discover fish. Key areas are the deep ends of major lake points, creek channels, etc. (3) Water Depth – Will range from between eight to 15 feet. (4) Lure Choices – A few very slow-working lures such as the pig-and-jig, plastic worm grubs and tube lures are the best choices, although crankbaits bumped along the bottom in a medium to slow retrieve will also locate bass. 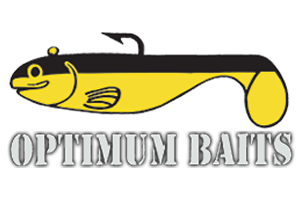 Spinnerbaits pumped slowly near the bottom are also good choices. (5) Tactics – This is a tough time of year because many bass have become inactive. You can continue to fish for the active fish, such as prespawners in other parts of the lake, or wait for the fish to enter their summer pattern. Dawn and dusk often provide the best angling during this period.